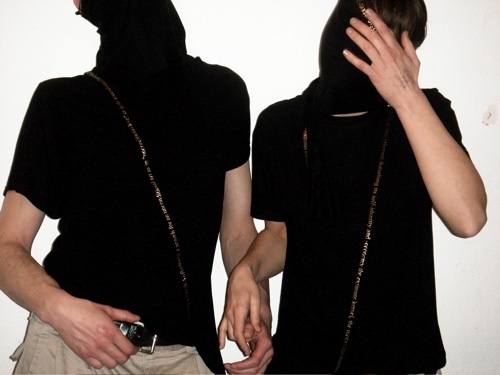 We are proud to offer some great new T-shirts and scarfs designed by Caroline Melzig-Thiel, who has worked with BLESS and Bernhard Willhelm. 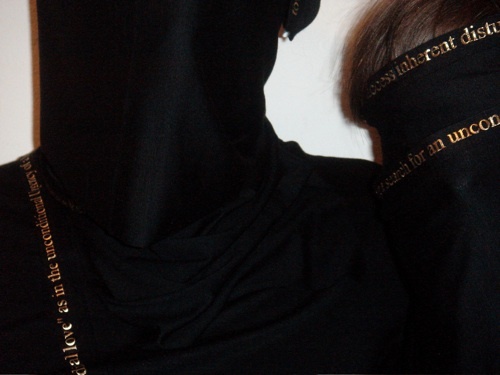 The shirts are handmade out of two different sizes, held together with a diagonal band, upon which the lyrics from ‘Fresh Aufhebung’ are printed in gold lettering. The shirts wear really nicely, and are available in two sizes – boy and girl. They are super limited, so this is a very special item! Preorder here or via Karaoke Kalk.